Prime Consultant responsible for architecture, structural, mechanical and electrical engineering, with civil, landscape and other engineering services done locally. 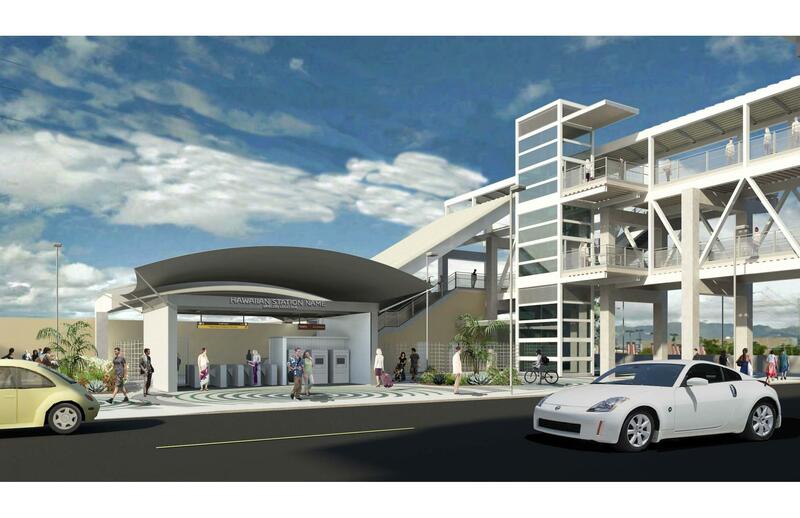 The KHSG Contract consists of: Pearl Highlands Stations, Pearlridge Station, Aloha Stadium Station and the H2R2 Ramp. 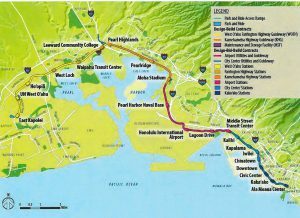 HART Project is a twenty mile grade separated fixed guideway transit system running between East Kapolei and Ala Moana. Final Design of three complex Aerial Stations & a Freeway Ramp, and coordination with Guideway & Systems contractors. 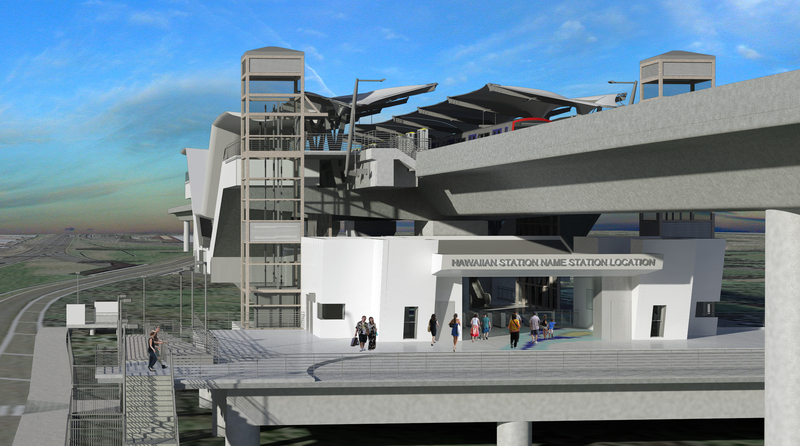 Pearl Highlands Station has an elevated station structure with two-hundred forty foot long side platforms located on the triangular property bounded by Kamehameha Highway, Farrington Highway, and the H-1/H-2 interchange in the vicinity of Kuala Street at the western limits of Pearl City. 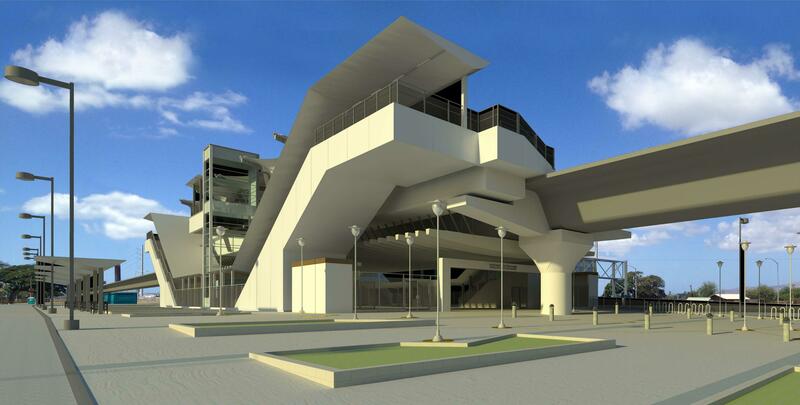 This station complex includes a rail station, a bus transit center, and a parking structure that is to be constructed in two phases. The first phase has the aerial station structure, transit guideway and an aerial station/bus deck 46’ above a river, making it environmentally and structurally challenging. A bus stop and kiss-and-ride is located on the shoulder of eastbound Kamehameha Highway. 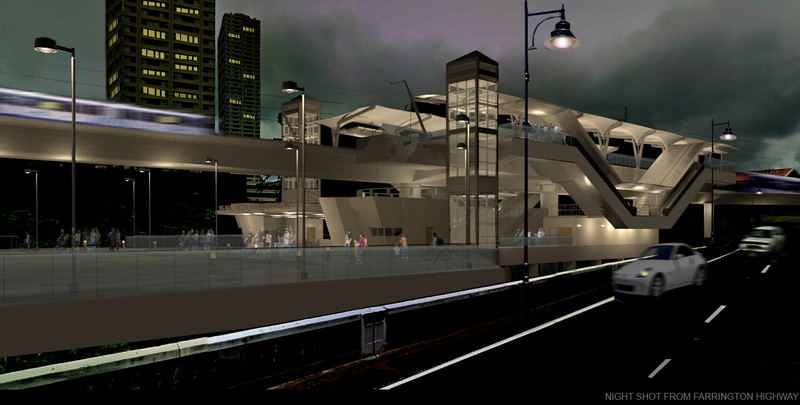 The station platform is at an elevation of 84’0”, the station/bus deck at 46’0” and the Farrington Highway approximately at 28’0” – in other words the platforms are 55 feet or more above street level. Other improvements include a pedestrian crossing at the Kamehameha Highway/Kuala Street intersection, sidewalks, stairs, and ramps. 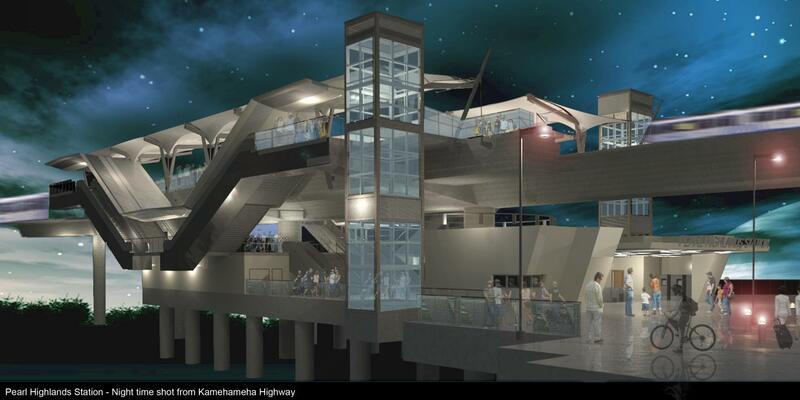 The H2R2 Ramp will connect in-bound Farrington Hwy to in-bound Kamehameha Hwy and provide access to the bus stop and kiss-and-ride. 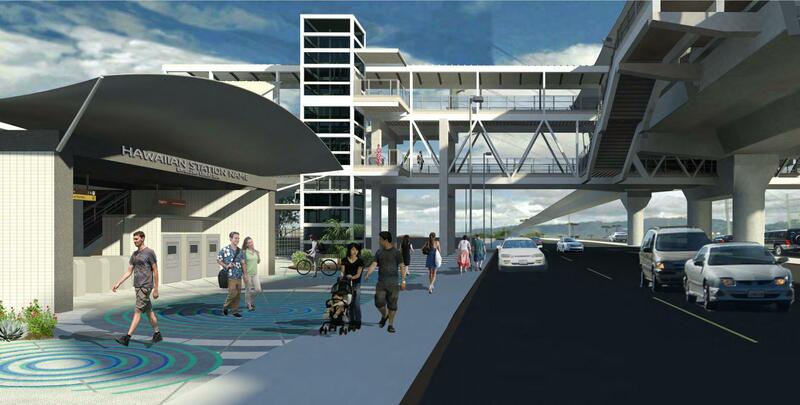 Pearlridge Station has a platform structure that spans over the thirty foot wide concourse bridge which connects to the at-grade station entrance structures located on either side of Kamehameha Highway. A Traction Power Substation (TPSS) and a separate ancillary building housing the train control and communications room are on the site. Other equipment rooms are located on the parcel containing the Makai entrance building. 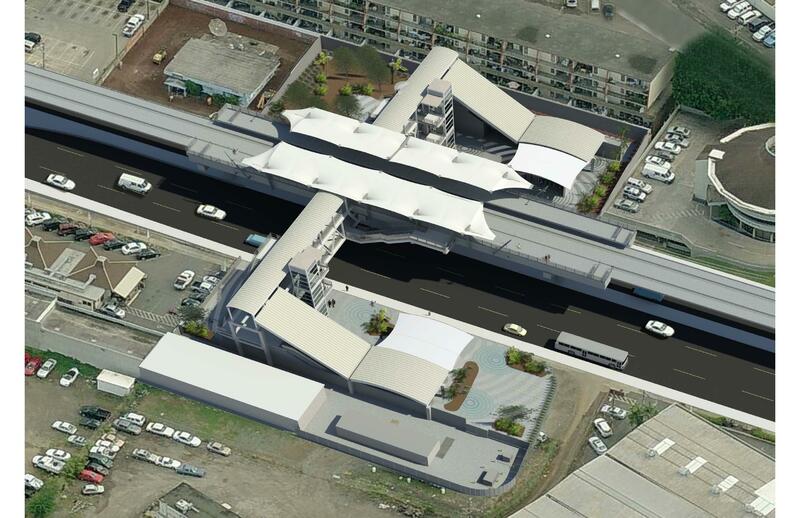 The station entrance structures are connected to the platforms by this elevated pedestrian concourse bridge which straddles Kamehameha Hwy several levels above the street. 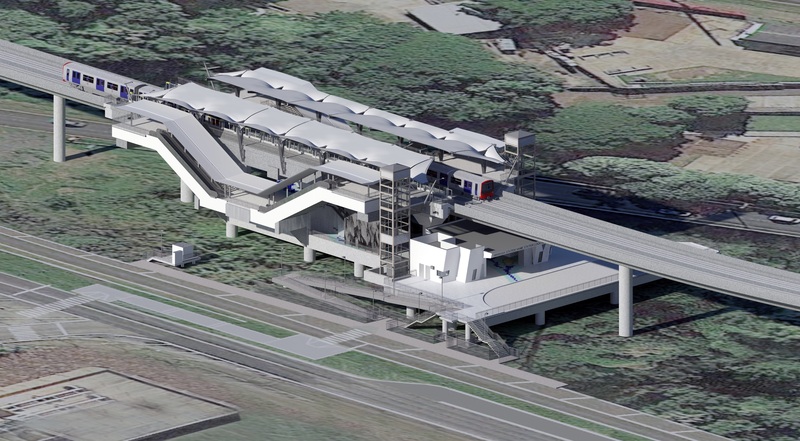 The site design includes site landscaping, construction of both TPSS station ancillary facilities, driveways, site drainage and utility service connected at an interface point coordinated with the guideway design-build contractor. Aloha Station has two elevated, two hundred forty foot long side platforms, located within the existing Kamehameha Parking Lot at Aloha Stadium. 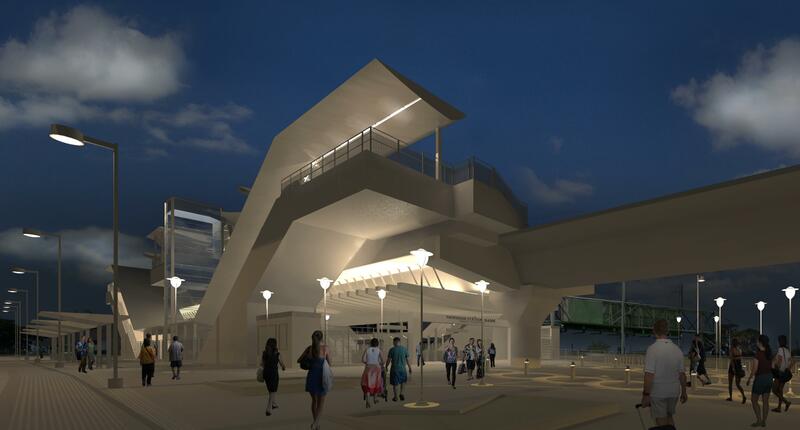 The elevated side platforms are accessed directly from the at-grade entrance structures via stairs, elevators, and escalators. 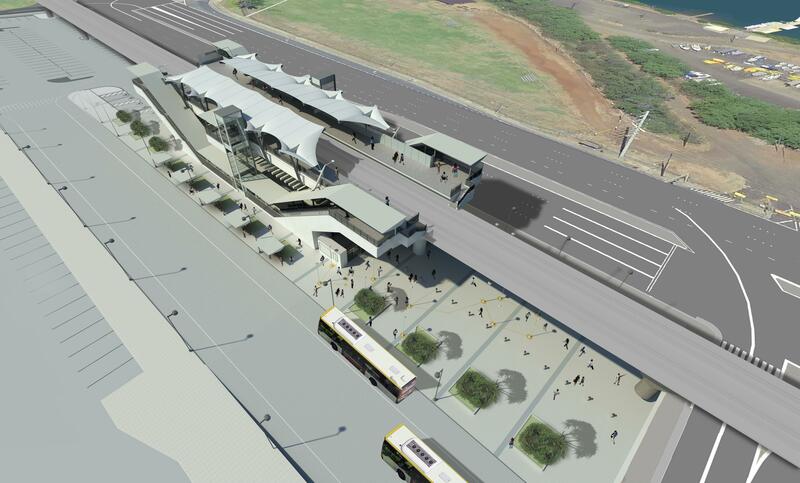 A single station entrance is provided to serve Aloha Stadium and the adjacent park-and-ride lot/bus transit center. Train Control and Communications Room and other ancillary equipment rooms are housed in a separate building at ground level. 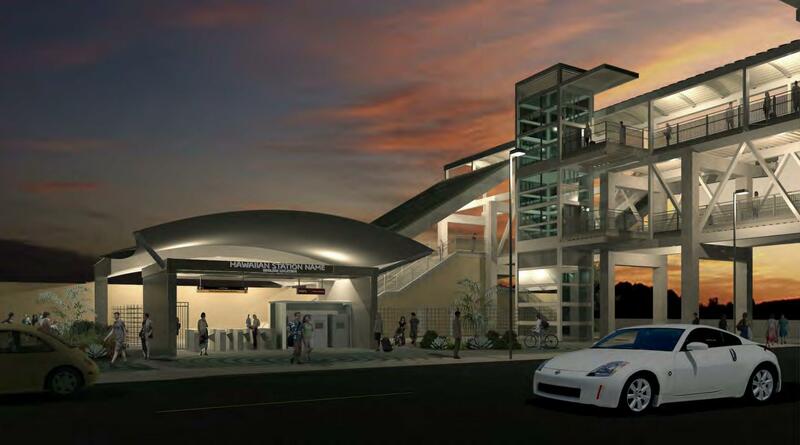 The site design includes a public plaza, the park-and-ride facility, bus transit center, and landscaping of the station site.